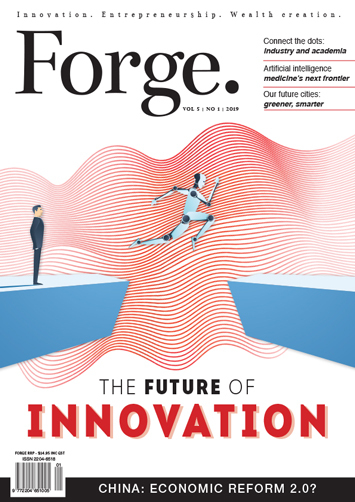 Forge Magazine | Innovation. Entrepreneurship. Wealth creation. Volume 5 No. 1 Out Now. eMagazine Hard Copy Advertise Forge is a quarterly magazine providing a new spotlight for Australia's economic and entrepreneurial successes. Forge covers the latest business news; analyses Australia's economic landscape; and profiles new business triumphs, high-profile businesspeople, and leading-edge ideas and endeavours.